Driv-Lok is a manufacturer or a broad range of press-fit fastening and joining components for leading OEMs and fastener distributors DRIV-LOK manufactures spring pins, grooved pins, dowel pins, barbed pins and more, and specializes in manufacturing engineered, application-specific â€œspecialsâ€� as well as standard parts through stocking distributors. The core customer area leading automotive, industrial and medical OEMs. Debron Industrial Electronics is a full service turnkey provider of value-added electronics manufacturing to the industrial, automotive, aerospace, and energy end-markets. The Company provides design, layout, engineering, and manufacturing of electronic controls, integrates them into assemblies (box build), and provides additional value-added services such as kitting, packaging and direct delivery to the end-customer. 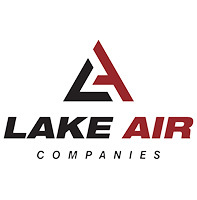 Lake Air Companies is a value-added precision manufacturer of metal products with deep expertise in sheet metal and structural fabrication, machining, stamping, tool design and build, and electromechanical assembly. The Company serves a wide variety of OEMs across the medical, turf care, industrial, automotive and aerospace segments. Preston Eastin, Inc. is a leading designer and manufacturer of positioning equipment for the welding and thermal spray industries. The company's full line of products includes manual, electric and robotic configurations. In addition to standard product designs, the company also designs and fabricates many custom solutions to meet a variety of automated and robotic positioning needs. WEM Automation is a global leader in the design and development of software and control systems for industrial process automation and data collection. WEM is most recognized for its work in both the asphalt and animal feed manufacturing markets. Through a joint venture with the Muyang Group, China's leading producer of feed milling equipment, WEM also has a strong presence throughout Asia. Wisconsin Coil Spring, LLC is a full service manufacturer of high-quality precision compression, extension, garter and torsion springs as well as wire forms and flat forms. The company is a contract manufacturer for various industrial products as well as diverse end markets, including automotive, aerospace, consumer products, construction equipment, lawn and garden, and electrical power systems.